Paul’s new album is available from November 19th, 2013. 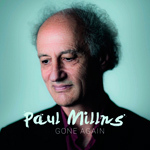 Called GONE AGAIN, it is an album of twelve new songs all written by Paul in the last two years. Recorded earlier this year in Ingo Rau’s Freiburg studio, it was produced by Paul and Ingo [who has done an outstanding job with the audio quality]. 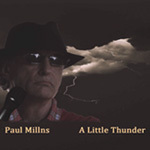 From the almost Nashville atmosphere of “Gone again” and ” A little Painkilling”, to the blues soaked “Distillery Street” and “Close Companion of the Blues”, via the jazzy “Love in the times of Hardship”, this is surely one of the most varied albums Paul has recorded.